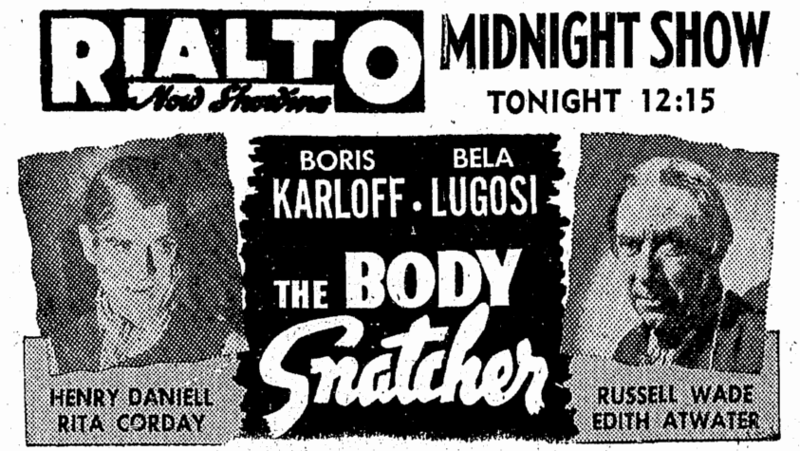 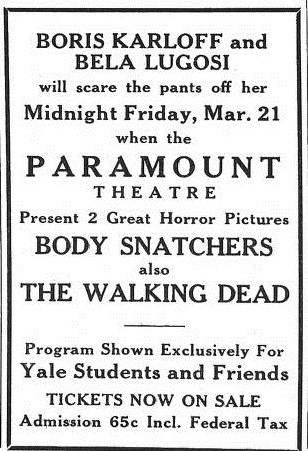 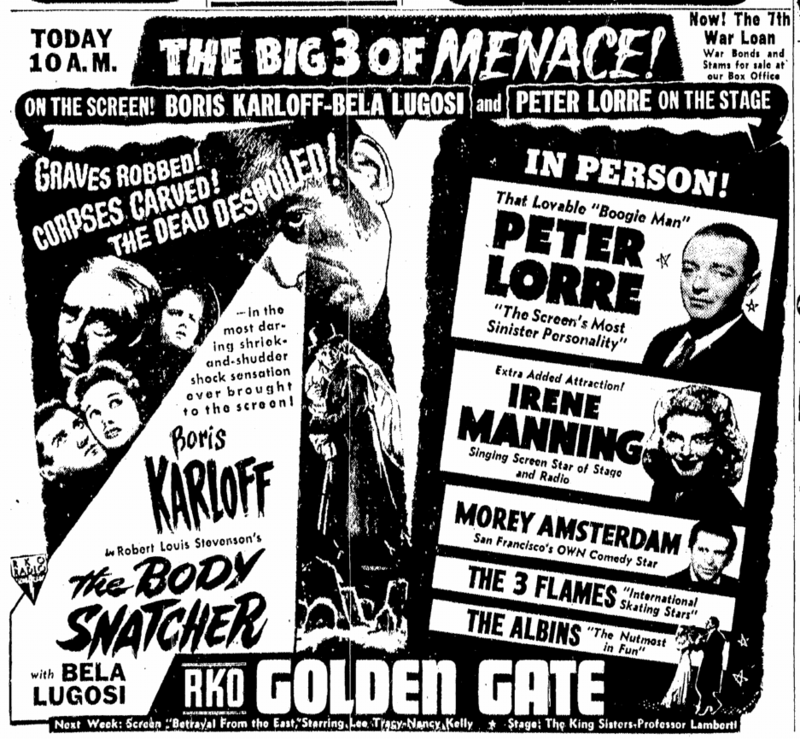 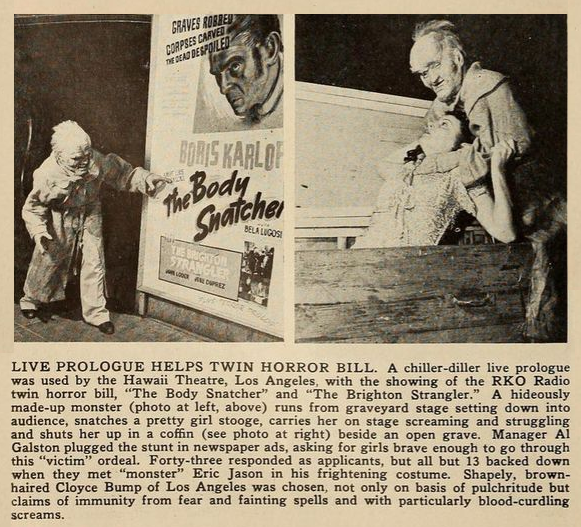 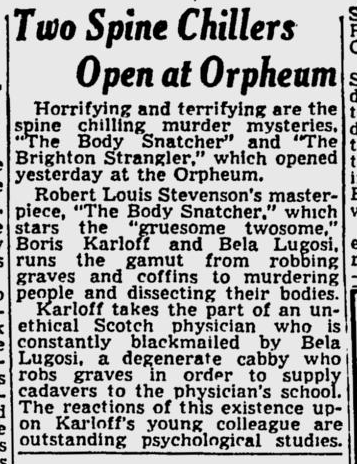 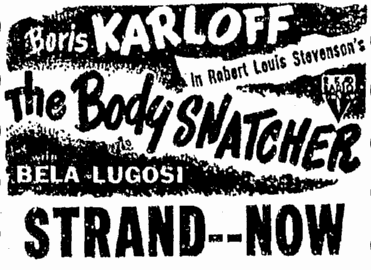 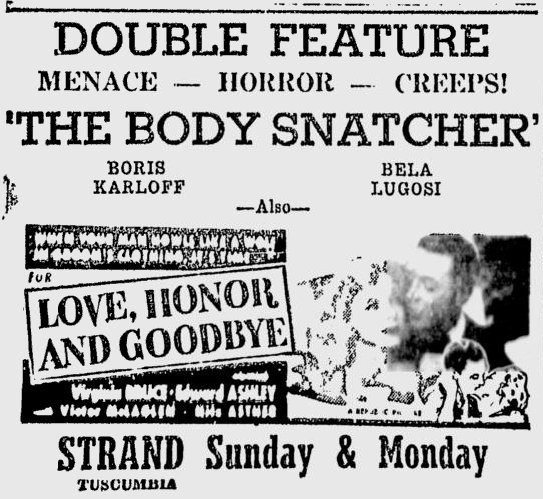 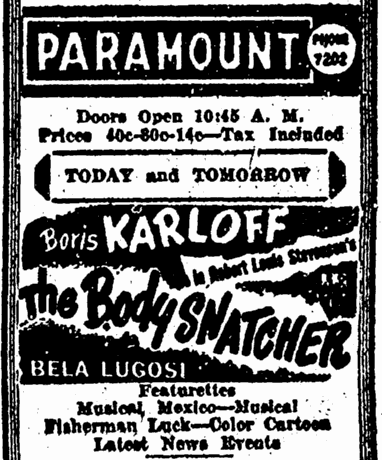 There was eerie business on the screen of the Rialto Theatre yesterday, where “The Body Snatcher” held forth. 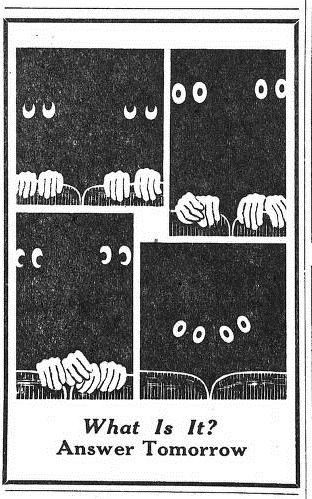 This new gloom-lodger, though not as nerve-parlyzing as the performers might lead you to expect, has enough suspense and atmospheric terror to make it one of the better of its genre. 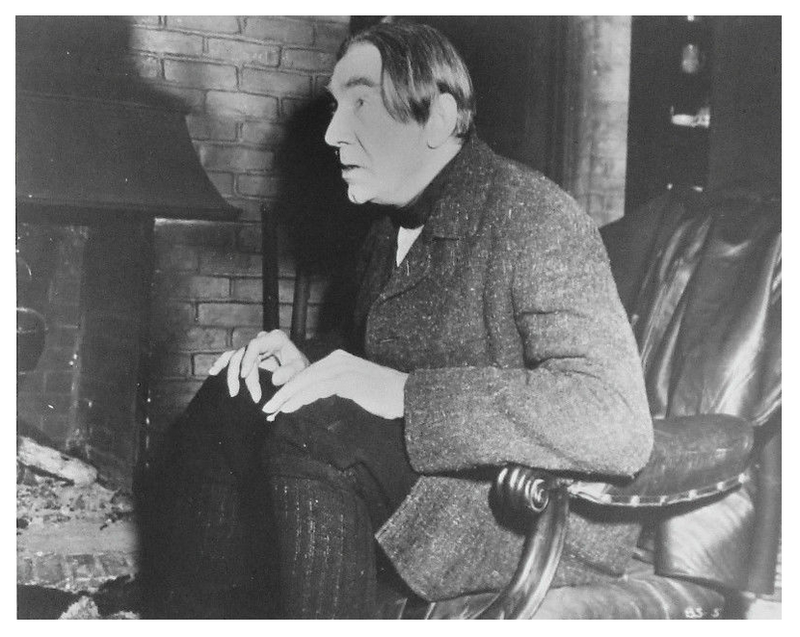 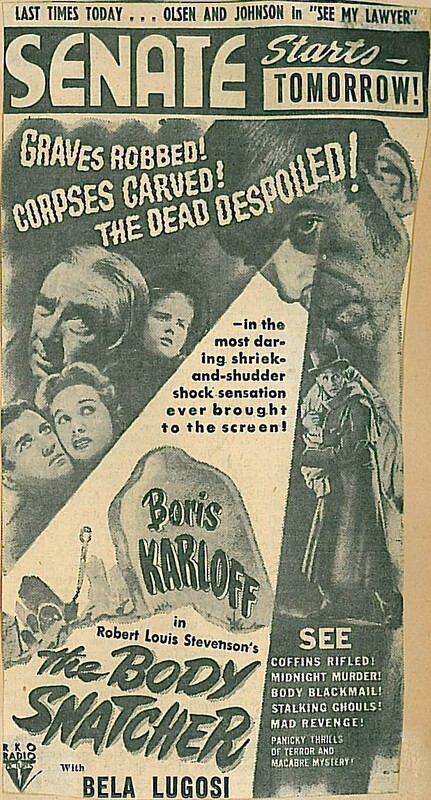 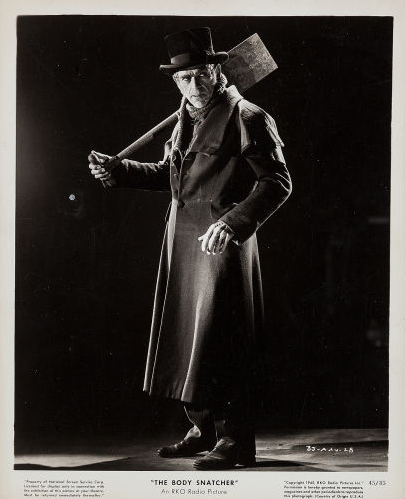 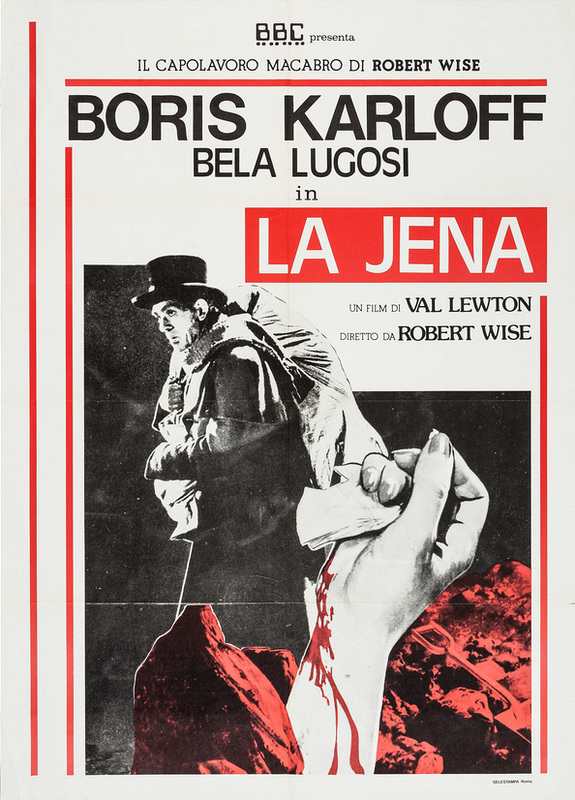 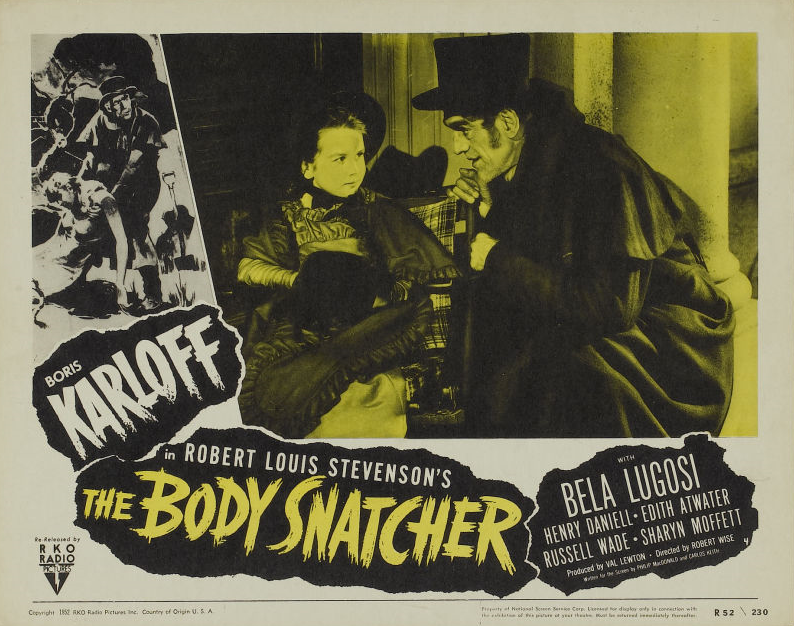 Boris Karloff, sporting a days-old beard, is in there pitching with ghoulish delight as an Edinburgh cabbie, circa 1830, whose hobby is snatching people out of their graves, and Bela Lugosi, surprisingly unsinister for a change, works industriously to achieve fame as a blackmailer. 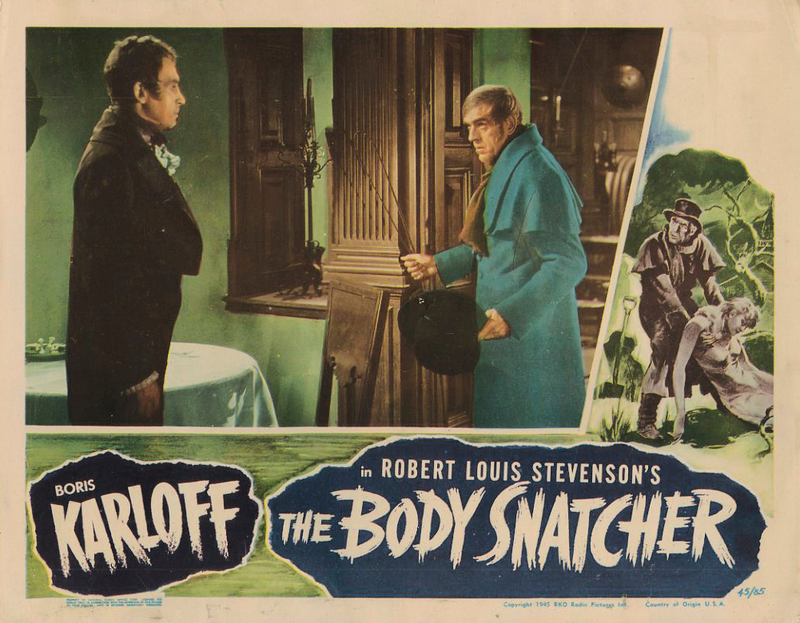 A long time ago Robert Louis Stevenson supplied the plot in a short story about the difficulties medical men had in procuring cadavers for scientific study, and RKO has taken the exhumation up from there for less noble purposes. 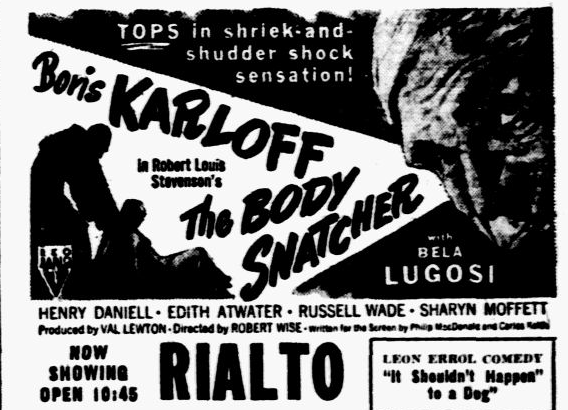 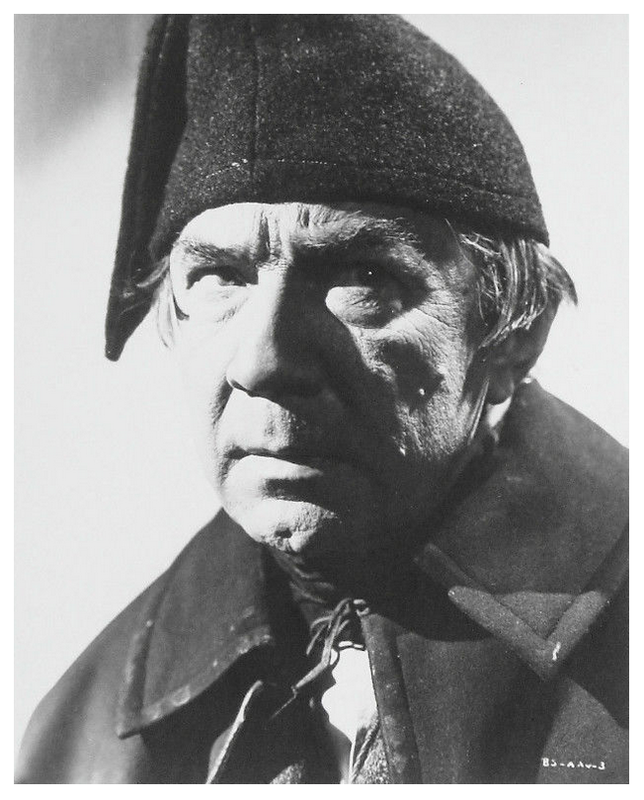 “The Body Snatcher” is certainly not the most exciting “chiller-drama”—the Rialto has often done much better—but it is somewhat more credible than most and manages to hold its own with nary a werewolf or vampire! 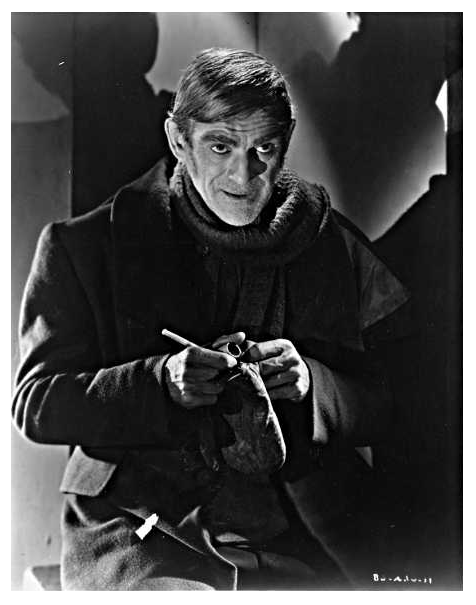 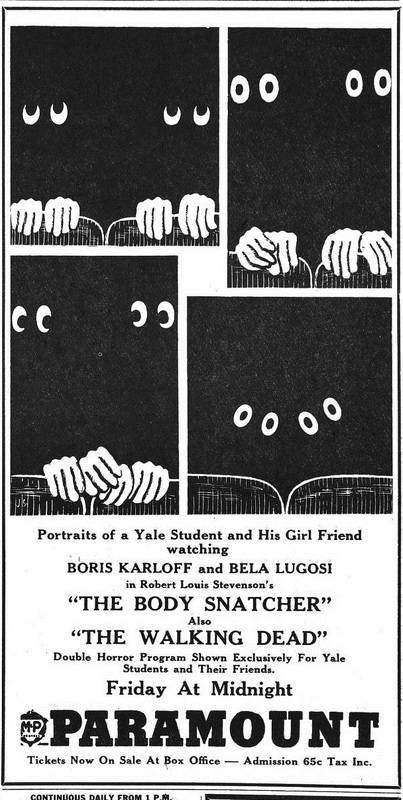 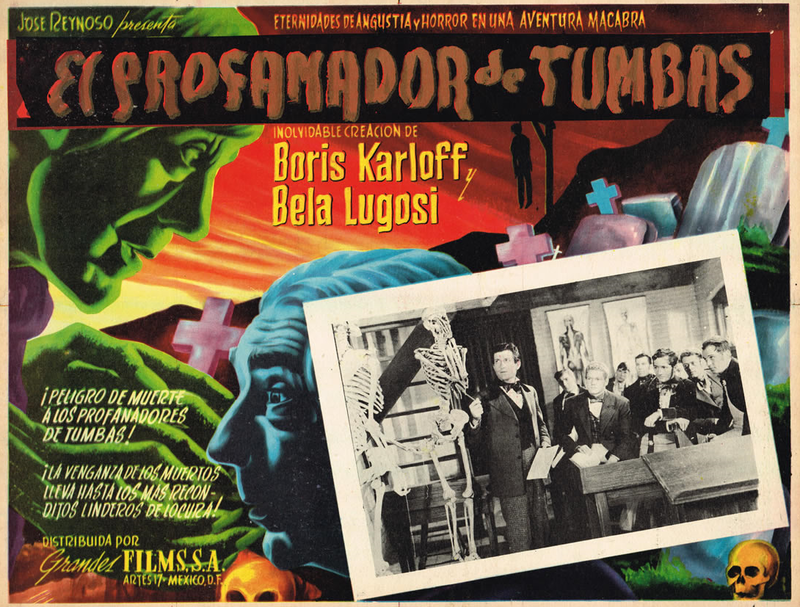 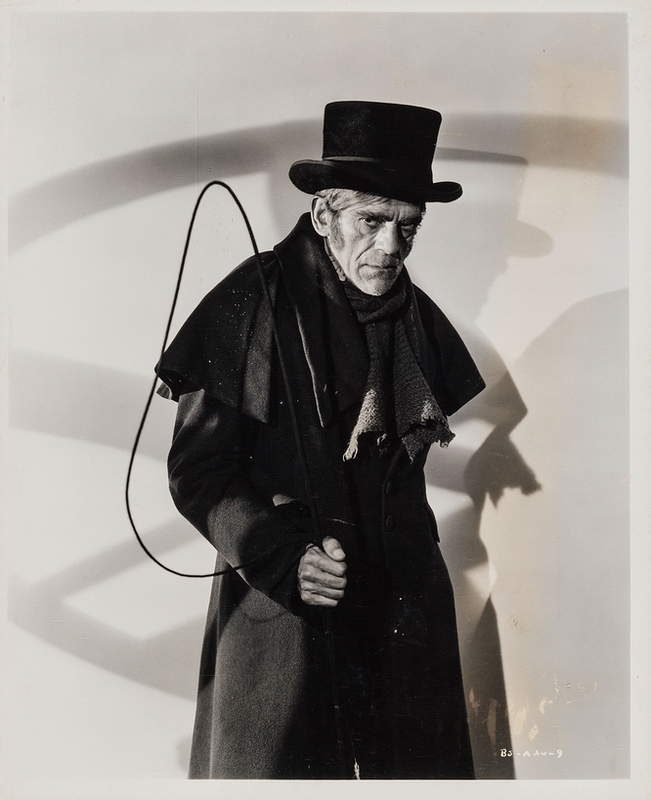 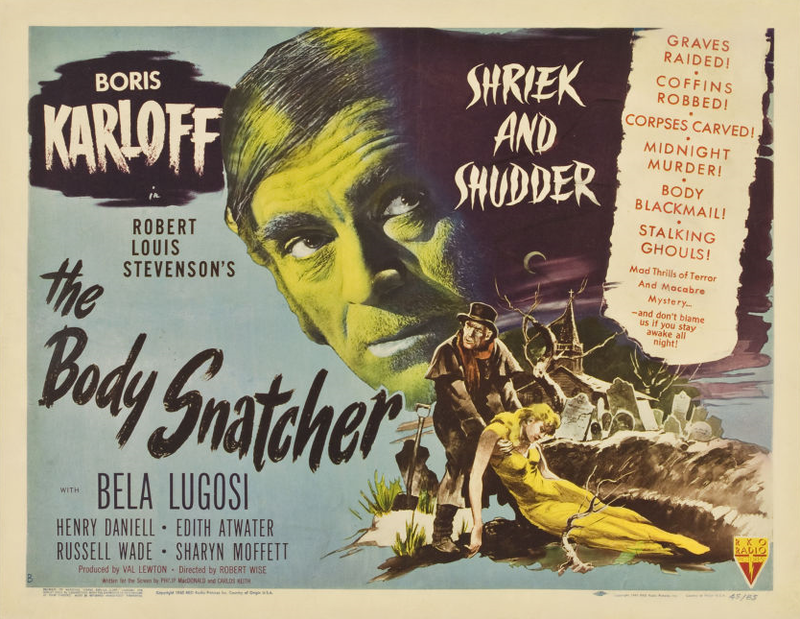 But then, with Karloff on the prowl, what chance would a blood-thirsty hobgoblin stand? 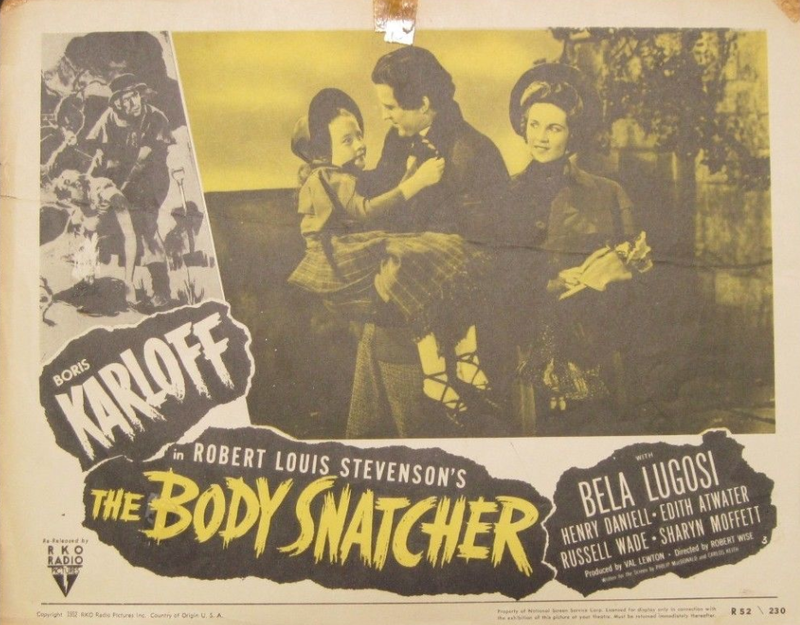 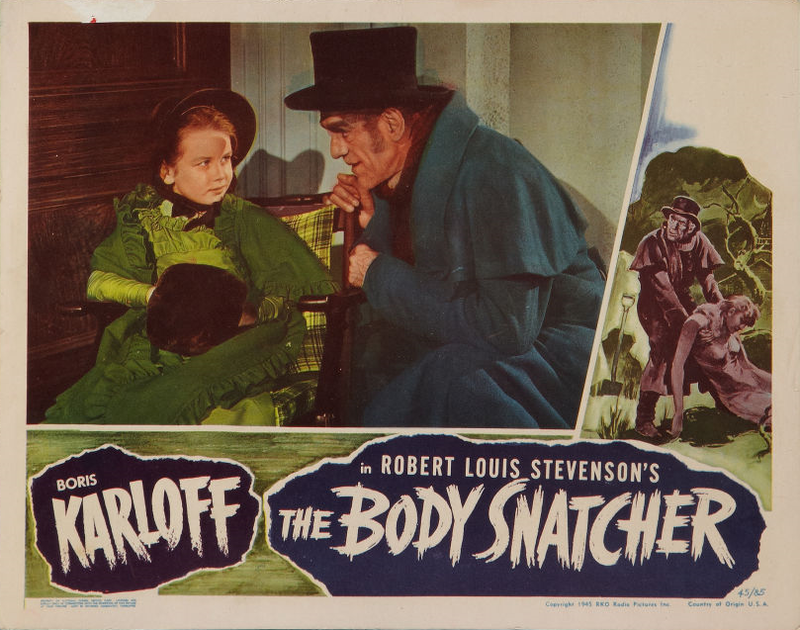 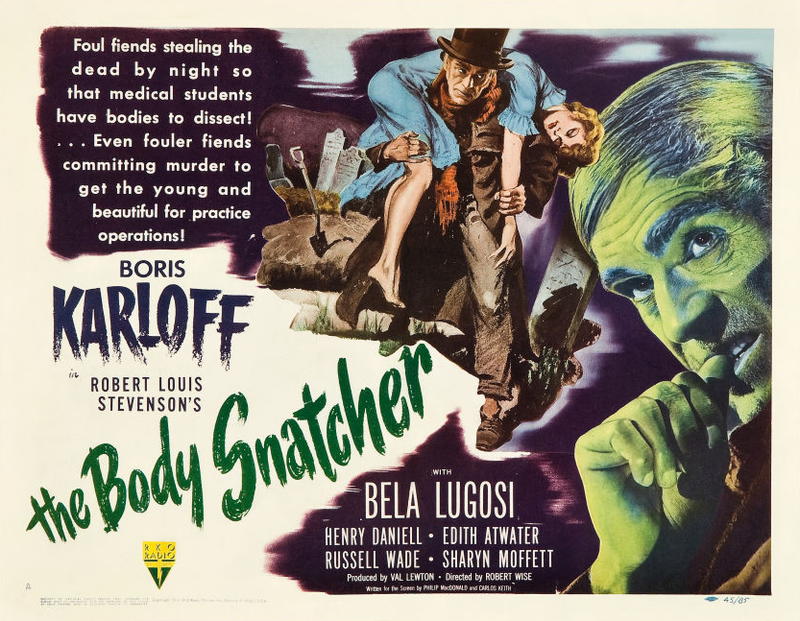 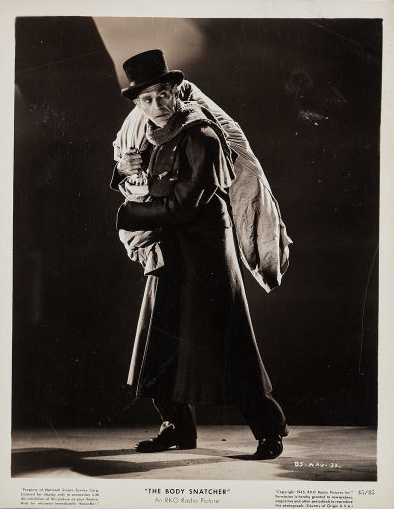 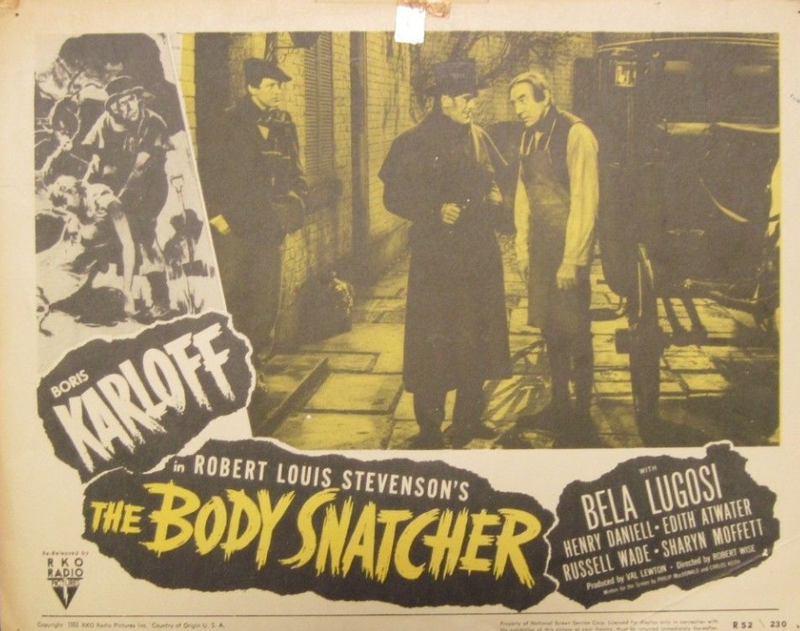 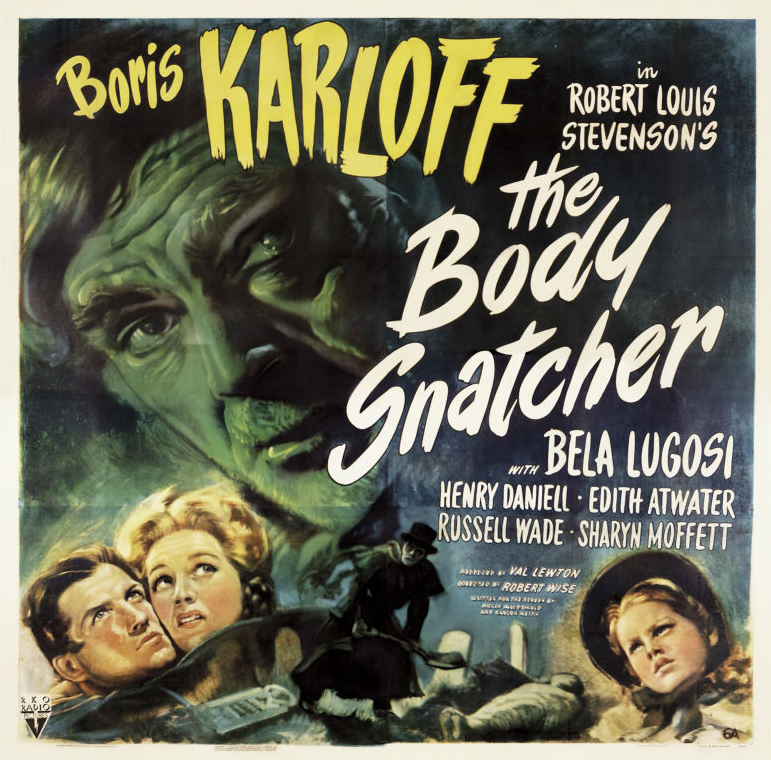 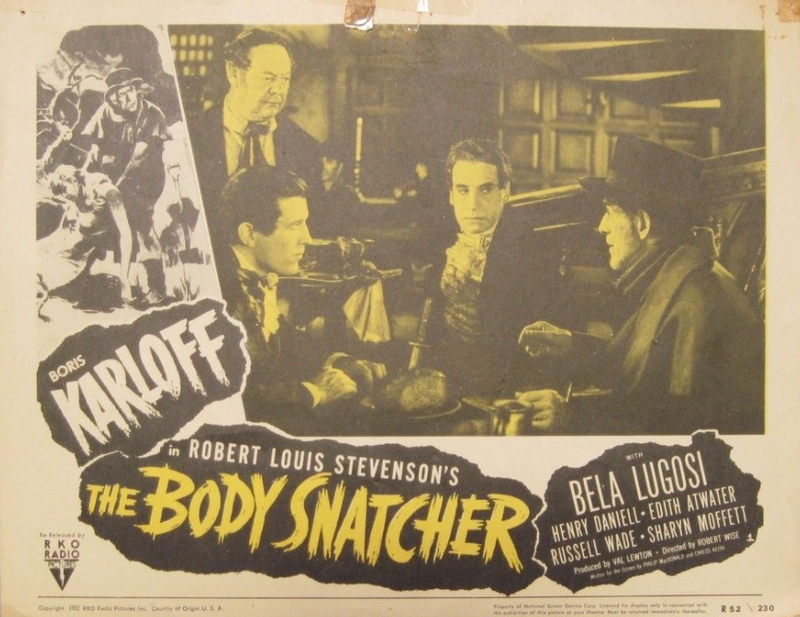 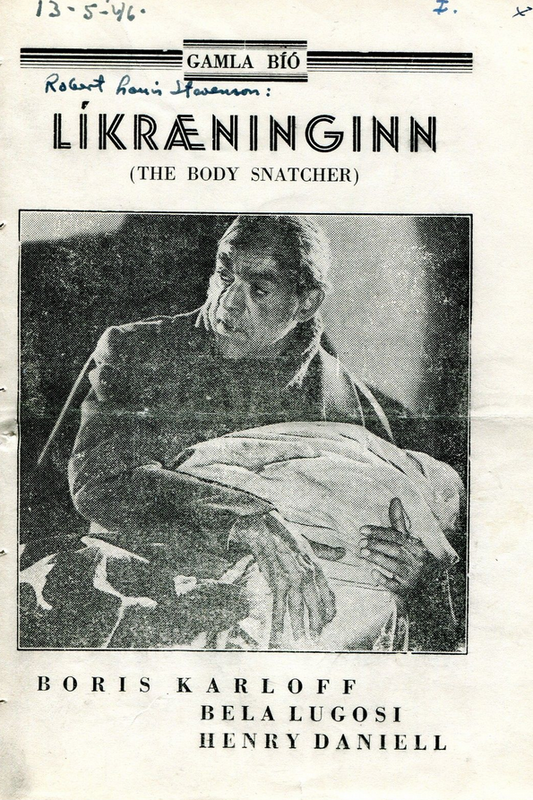 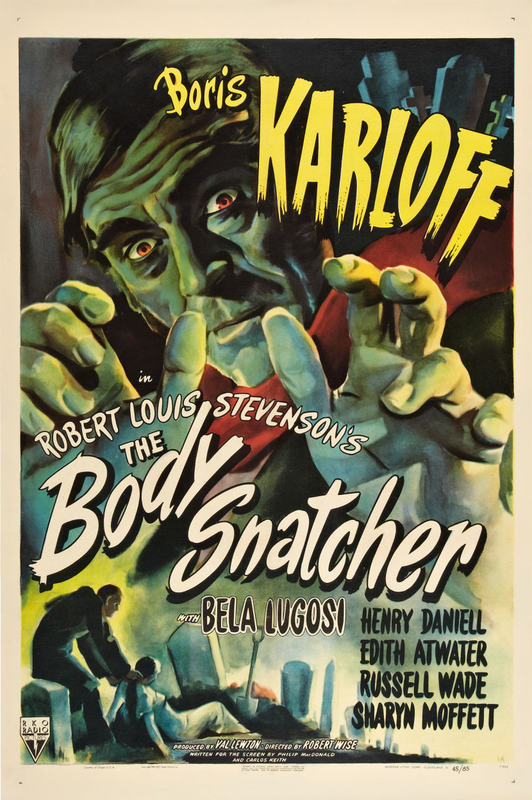 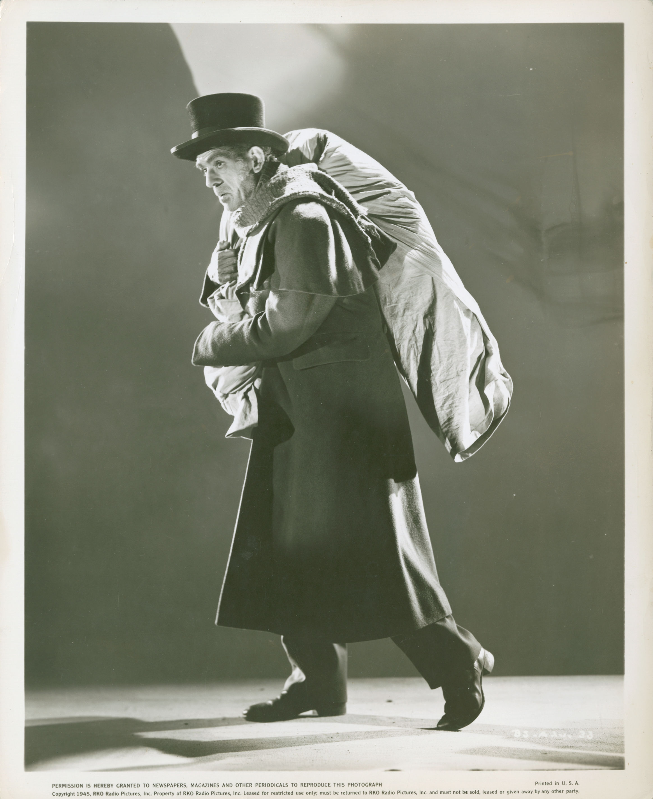 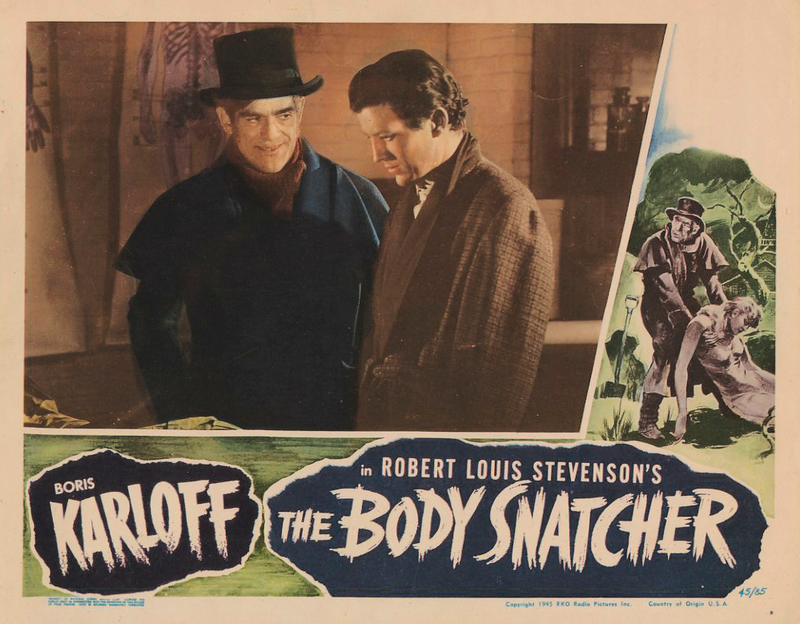 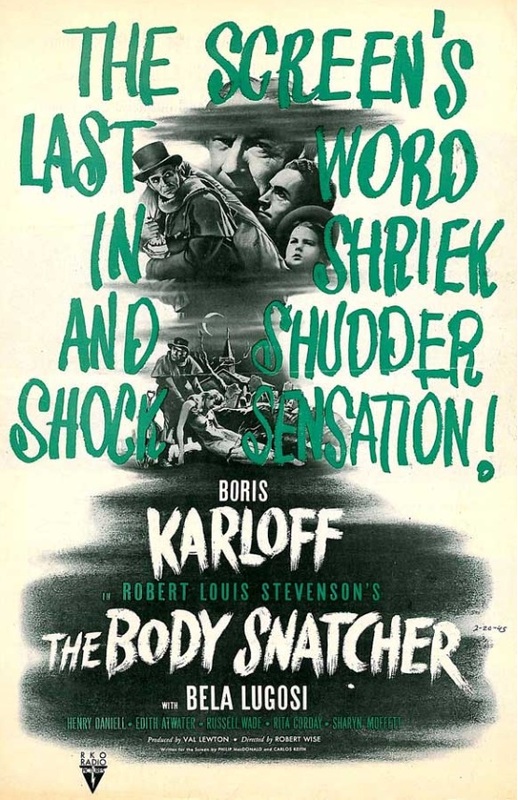 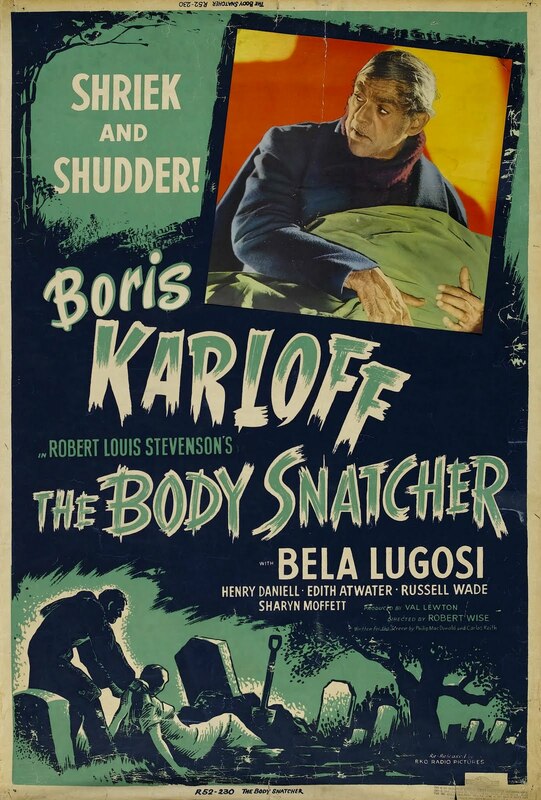 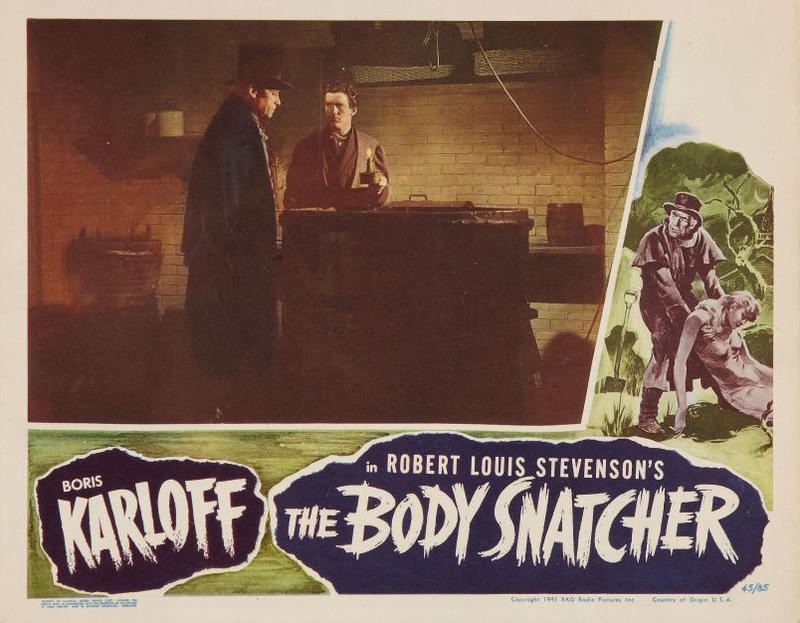 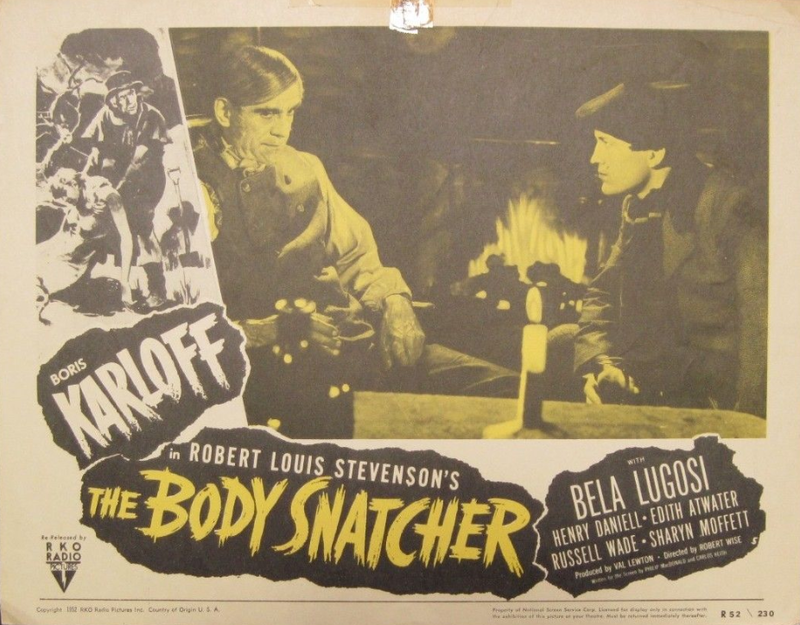 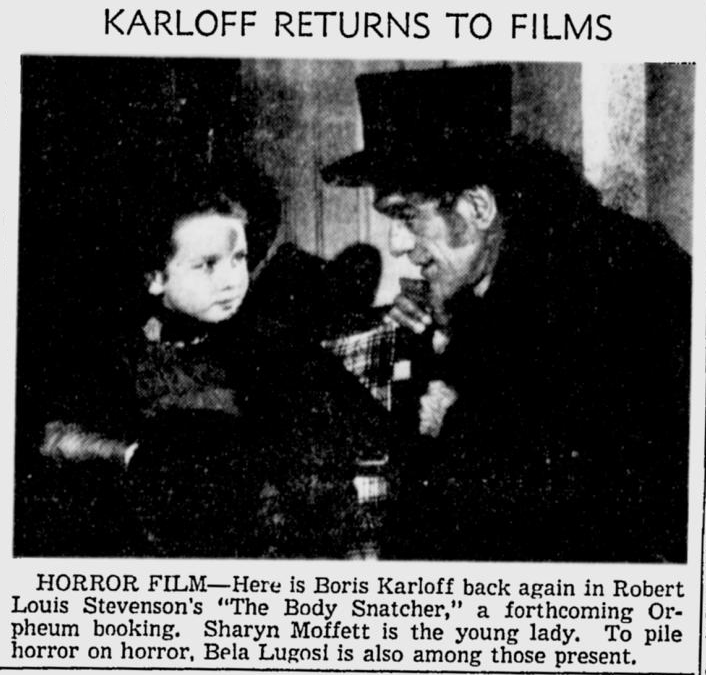 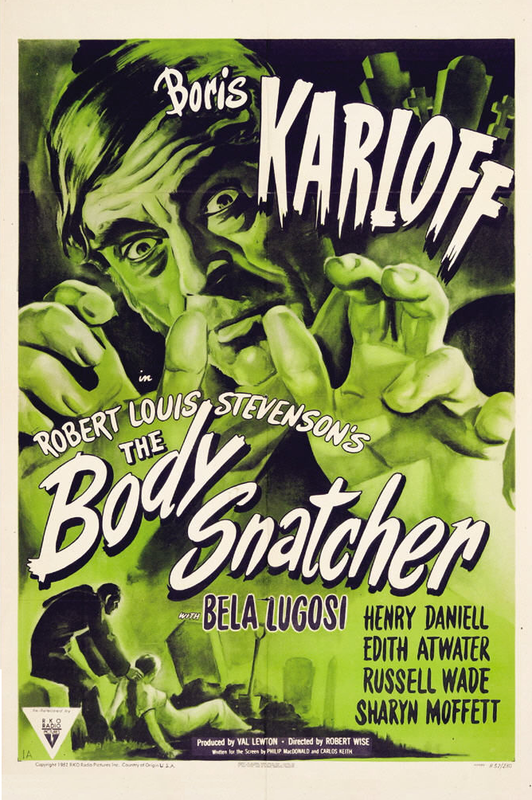 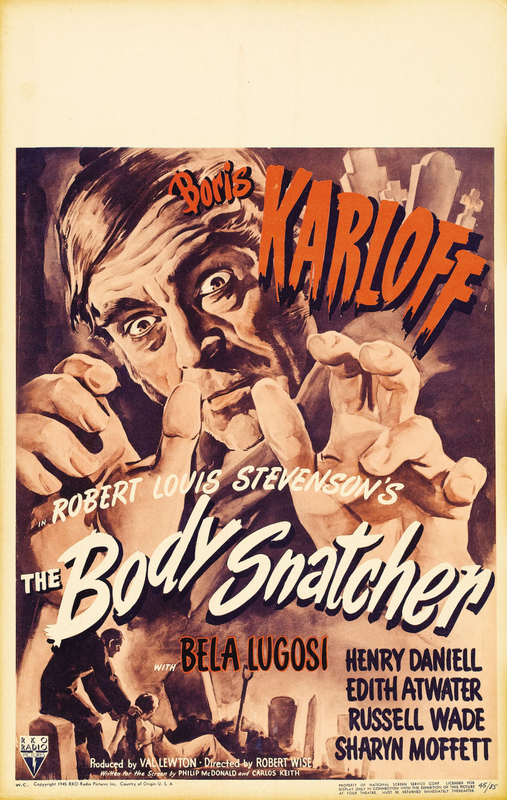 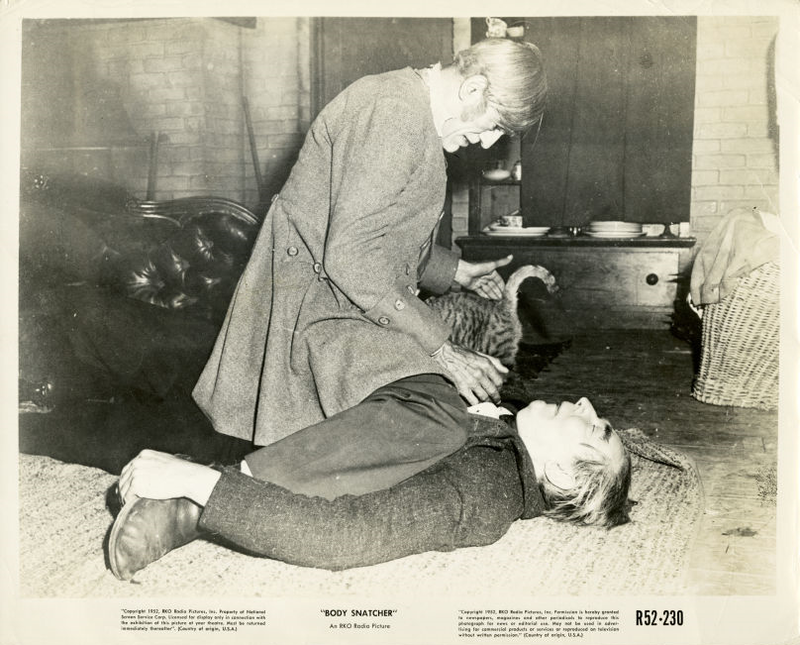 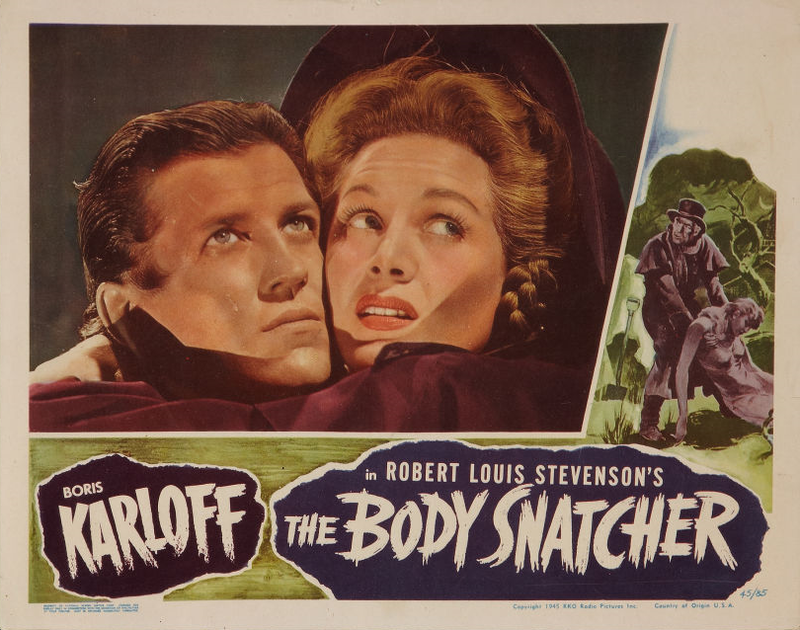 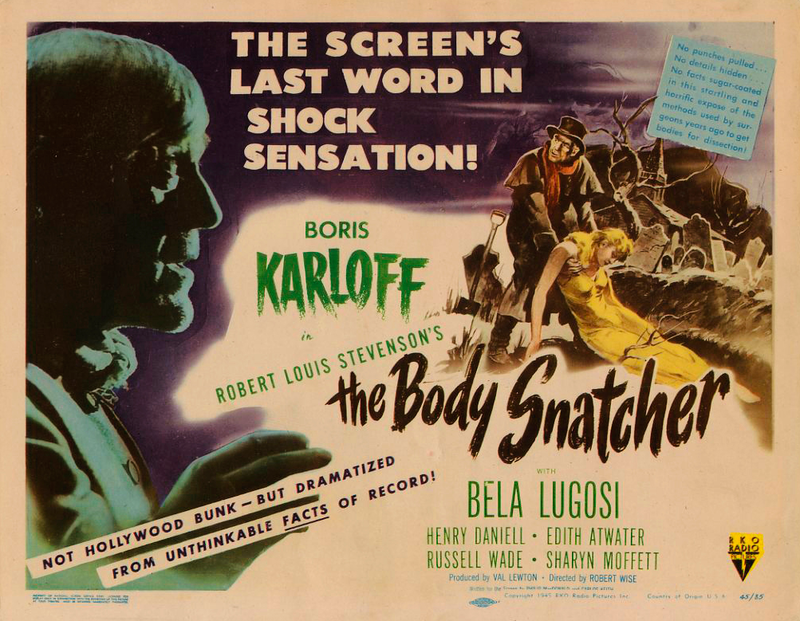 THE BODY SNATCHER; written for the screen by Philip MacDonald and Carlos Keith; based on a short story by Robert Louis Stevenson; directed by Robert Wise; produced by Val Lewton for RKO-Radio Pictures. 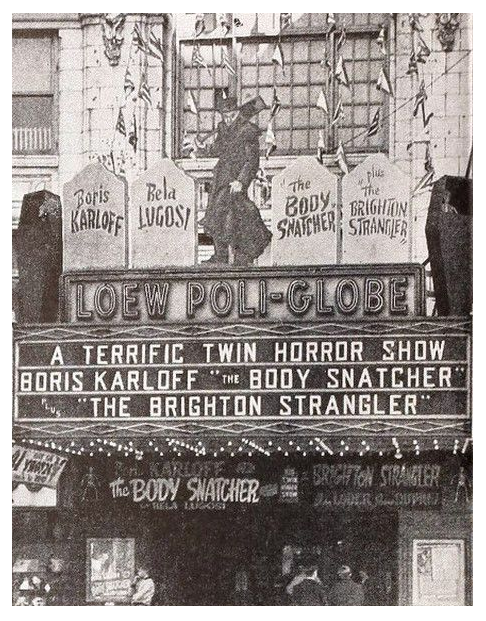 Tombstones and coffins on marquee of the Globe theatre, Bridgeport, Conn, gave atmospheric touch to manager A. L. Domain’s Hallowe’en program.